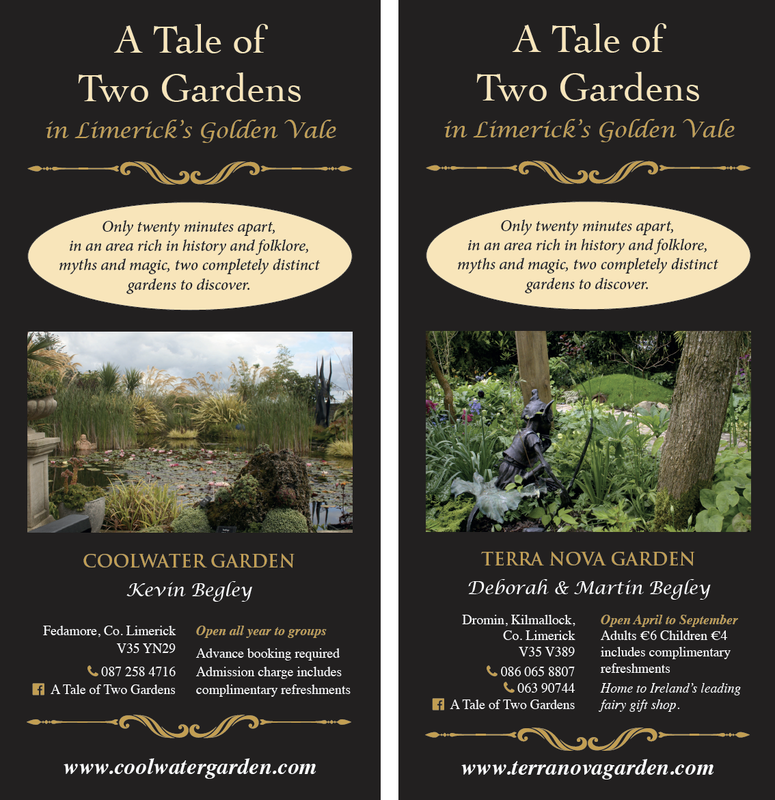 Coolwater is part of The Ballyhoura Garden Experience and The Ballyhoura Heritage & Gardens Trail, each of which will provide a full day’s activity in a tight geographical area. Details of 2 day and 3 day activities for tour operators can be found by contacting +353 87 258 4716. 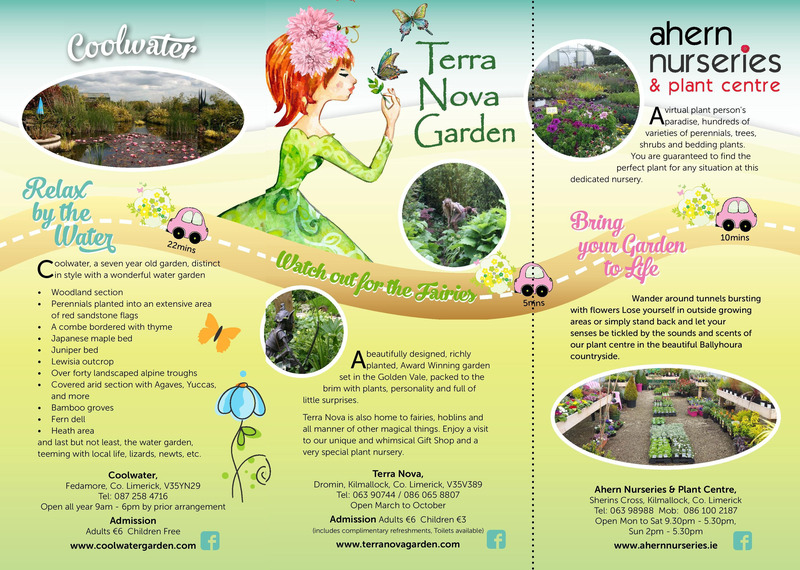 Terra Nova Garden – A beautifully designed and richly planted half-acre garden in the Golden Vale. Coolwater Garden – A distinctively different garden designed for year round structure and shape. Ahern Nurseries – One of the largest Wholesale and Retail plant producers in the region. 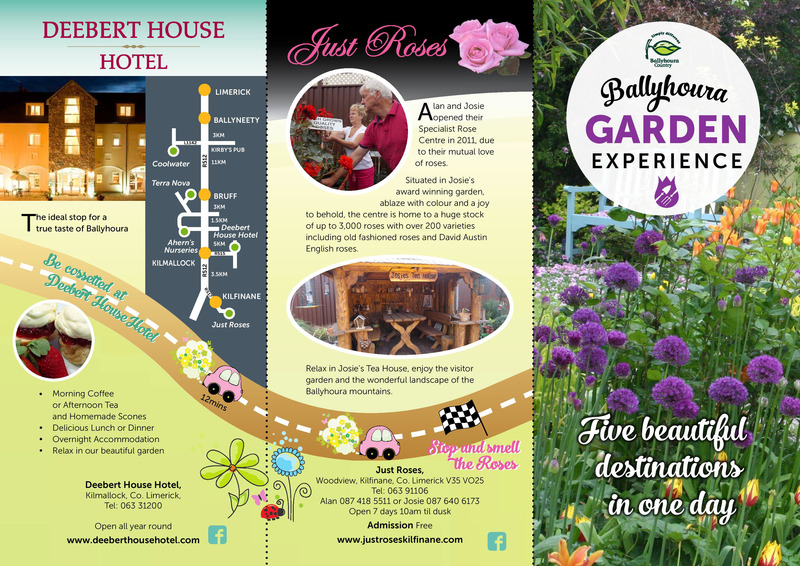 Just Roses – A Specialist Rose Centre open to all garden rose lovers every day. Deebert House Hotel – Modern facilities, old world charm and mythical landscapes. A Tale of Two Gardens An unforgettable day visiting these gardens of “magical wonder”. Old Irish Ways Museum – A folk heritage museum recapturing what life was like over 100 years ago. Lough Gur Heritage Centre – Magical and mysterious, rich in folklore, archaeology and history. Clayton Hotel Limerick – The perfect base to adventure throughout the Midwest of Ireland. Deebert House Hotel – The very best of local produce bursting with flavour. Vines Grill & Wine Bar Restaurant – Tasty food in a relaxed and gracious atmosphere. Reardon’s Restaurant, Holycross – A fine place to stop for food and a drink on a trip to Lough Gur.